Almost three billion dollars of defense mega-deals have been signed between Russia and India. President Putin is on a visit to New Delhi cementing ties with fast-growing economies as they continue to try and boost their global influence. RT's Maria Finoshina reports on how their improved world standing is worrying some in the West. Also, Geopolitical analyst William Engdahl, says the world's fast-growing economies have many more reasons for partnership than rivalry. Egypt's opposition is calling for more protests, after President Morsi insisted on ploughing ahead with a referendum on the new constitution, which is viewed by many as discriminatory. Even his decision to scrap the decree which had granted him almost absolute power, was dismissed as a play on words. The U.S. has made no comment on Egypt's draft constitution, even though it's criticised for undermining basic freedoms. 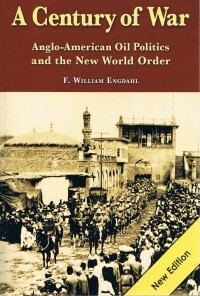 Geopolitical analyst F. William Engdahl says Washington is secretly supporting Muslim Brotherhood to turn Egypt into an Islamic dictatorship. A major transfer of power has begun in China. The country's set to appoint its new top leaders next week as part of the Communist Party Congress which is now underway. President Hu Jintao has called on the nation to fight corruption, improve its military and keep the economy growing. 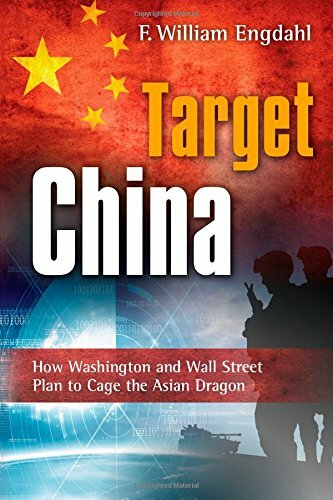 And economic researcher William Engdahl, the author of "Myths, Lies and Oil wars", says the new Chinese leadership will have some serious challenges ahead. One in four people are now officially out of work in Spain as unemployment in the debt-ridden country reaches another record. The grim news comes as Madrid's transport workers go on strike, adding to a sixth day of protests in the capital against austerity cuts. That's as another epicentre of the EU crisis - Greece - looks likely to miss its promised deficit deadline. The forecast from the International Monetary Fund's debt inspectors comes a year after EU leaders applauded what they considered a key deal to save Athens. Author and publicist William Engdahl, says all the measures the EU leaders are imposing are failing to address the core problems on the continent. Libya's turning a new page in its history following the killing of ousted dictator Colonel Moammar Gaddafi. His burial has been delayed after the UN called for an investigation into how he died. Gaddafi was reportedly shot in a crossfire during an assault on his hometown of Sirte. But the footage of his lifeless and broken body was so graphic, some are wondering why it was broadcast for the public to see. France has started providing direct aid and money to rebel-controlled areas of Syria and is even considering supplying anti-aircraft weapons to the opposition, a diplomatic source has said. Geopolitical researcher F. William Engdahl says the rebel forces Paris is backing are fighting to impose their own order on the Syrian people. World opinion is being orchestrated towards a military operation against the Syrian regime, researcher and author F. William Engdahl told RT. Still, any decisive action against Assad will be postponed until after the US presidential election. The international forces supporting regime change in Syria are continuing to mount pressure on the Assad regime, whipping up the fact that the country possesses chemical weapons. Despite the Syrian government's firm assurance these weapons will never be used in the internal conflict, countries supporting Syrian opposition are openly discussing plans to take Syria's chemical weapons stockpiles under their control. The dollar financial system of Wall Street was born not at a conference in Bretton Woods New Hampshire in 1944. It was born in the first days of August, 1945 with the dropping of the atomic bomb on Hiroshima and Nagasaki. After that point the world was in no doubt who was the power to reckon with. 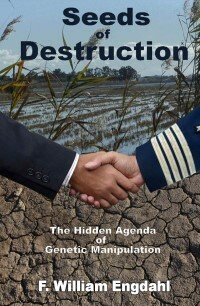 This book is no ordinary book about money and finance. Rather it traces the history of money as an instrument of power; it traces the evolution of that power in the hands of a tiny elite that regards themselves as, quite literally, gods-The Gods of Money. 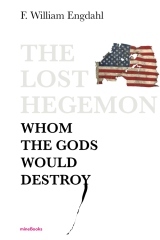 How these gods abused their power and how they systematically set out to control the entire world is the subject..
Alex Jones covers the news and welcomes Jon Rappoport to the show ... Patrick Henningsen interviews F. William Engdahl about Financial Terrorism. President Vladimir Putin has urged patience and time for Kofi Annan's peace plan to take hold in Syria. He made the statement while on a visit to Berlin and Paris. An independent UN panel is to investigate last week's Houla massacre in Syria, in which more than a hundred people - including many children - were slaughtered. Damascus blames armed opposition fighters for orchestrating the attack and says they're seeking to trigger foreign military action - but several western governments have expelled Syrian diplomats after the atrocity. Russia says the horror in Houla highlights the dangers of backing rebels and extremist elements by the West. The US continues to support the Syrian opposition and is proposing regime change. Political risk consultant F. William Engdahl says Washington's proclaimed desire for a diplomatic solution to the crisis, is laden with contradiction. The Syrian regime has come under fire from a new UN report claiming both the government and opposition are committing gross human rights violations. It claims Damascus is responsible for the largest share of the violence, while rebels are accused of kidnapping civilians and torturing captured soldiers. Meanwhile, Amnesty International has slammed the UN Security Council as 'increasingly unfit for purpose' and too slow to act on Syria. The world body dispatched an observer mission to the country, where it's estimated around ten thousand people have been killed since March last year. Author William Engdahl says however that Syria must be left alone to determine its own future. Newly-inaugurated President Putin is already dishing out directions regarding changes to the country's policies. For more on Vladimir Putin's return, RT joined now by F. William Engdahl - author of "A Century of War: Anglo-American Oil Politics and the New World Order"
It's been more than a year since the wave of unrest first began in the Arab world. As regimes failed hopes for greater freedoms grew only to fade as the unrest and bloodshed continued. RT's Oksana Boyko looks at whether fight for democracy has failed. The UN-Arab League envoy Kofi Annan has urged the UN Security Council to break the political deadlock on Syria. He said 'unity over the crisis will help his peace mission' - comments he made during his briefing to the body about his findings following his recent visit to Damascus. 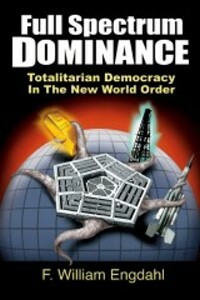 William F. Engdahl, researcher and author of "Full Spectrum Dominance: Totalitarian Democracy in the New World Order"
German Chancellor Angela Merkel is urging her lawmakers to support the new rescue package for Greece. This despite worries that Athens will need even more cash in the future, and suggestions from Germany's Interior Minister that it's time Greece left the Eurozone altogether. The 130-billion euro bailout was agreed in principle last week after months of tense discussions among the Eurozone leaders. Germany, as Europe's richest economy, has to contribute the majority towards it. But there is a sense of unease in Berlin that it will have to keep coughing up cash to prevent a Greek debt default. It's the second bailout in a little over 18 months would ensure Athens can pay its debtors for the time being. To discuss the possible outcome of this package,RT's joined by political analyst William Engdahl. 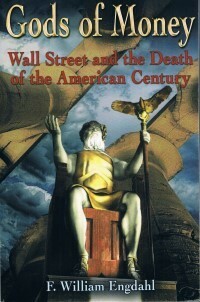 How private Bank's Monopoly on Finance has degraded and implemented Empire and War in our time. Saturday was a day for demonstrations in Russia. Over two hundred thousand people gathered across the country to voice their political views ahead of next month's presidential election. Two of the largest rallies took place in the capital with supporters and opponents of the current leadership braving the bitter cold to have their say. It was the third, and biggest, opposition gathering after the Parliamentary vote two months ago which protesters claimed was rigged. Now their main demand is for a fair presidential vote in March. Author and researcher F. William Engdahl says the West is funding the Russian opposition to minimise the country's influence on the world stage during a critical time. European markets have remained stable on Monday, despite the wave of credit downgrades across the eurozone by the ratings giant Standard and Poor's. It slashed the credit scores of 9 EU countries on Friday, including France, which lost its triple A status, and Austria. But other ratings agencies, Fitch and Moody's, say they will maintain France's top rating for now. There was no panic among EU leaders, at least publicly. French President Nicolas Sarkozy said the downgrade will not defy his policies. For more on this, RT talks to author and financial analyst F. William Engdahl.